What does an evaporator do? The evaporator is the coil that is located in a box (called an evaporator housing or plenum) mounted behind the dash or on the firewall in the engine compartment. It receives liquid refrigerant that is metered into it from the expansion valve. As the refrigerant enters the evaporator, it boils into gas form, causing the coils & fins to frost up. The air that is forced through the frigid evaporator coil is ultimately pushed through various ducts and louvers before entering the passenger compartment. The evaporator, along with the Condenser, is the most important part in the a/c system at determining how cold vent temperature is. Why restore or replace your evaporator? Over time, many things can decrease the efficiency of your car’s evaporator. Dirt & debris can block cooling fins and restrict or block air flow, causing marginal or even hot vent temperature or it can simply develop a leak. In some cases, a more efficient replacement evaporator is available. When converting to 134a, it is highly recommended to replace your original evaporator with a more efficient coil if available. More on Converting to 134a! Classic Auto Air offers new & reconditioned replacement evaporators for many mid 60’s to mid 70’s Chryslers, Dodges and Plymouths, and restoration & duplicating services for situations when a new or reconditioned replacement is not available. 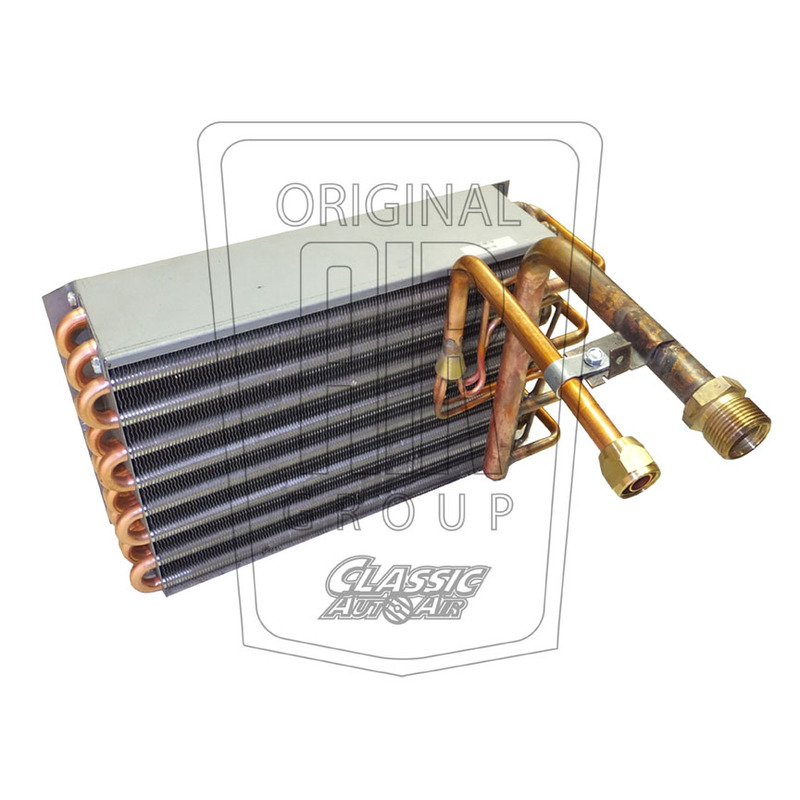 Classic Auto Air can also recondition your original evaporator. This is a restoration of the whole unit that houses the evaporator & heater coil for models where the evaporator unit is IN (rather than under) the dash, including restoring the evaporator itself.